"My name is Sosan Waheedy. My nationality is from Afghanistan however I was born and brought up in Toronto Canada. 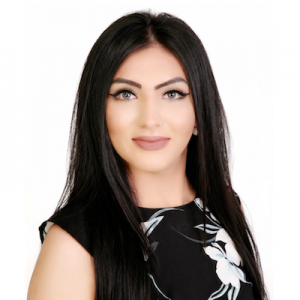 I began my journey in Real Estate at a young age of 16 when I started working for multiple Brokerages as an administrator with excellent organization skills and interpersonal skills. During my employment with these brokerages I began to learn what real estate was all about. I self tought myself about the real estate market and with gaining knowledge on all the Cities, Towns, And Neighborhoods Here in Ontario. After hearing multiple real estate agents at the brokerages I use to work for tell me that I would make an amazing Real Estate Sales Representative, I then followed my dreams and became a licenced realtor. Today I focus on residential, preconstruction, commercial, and lease properties. I am super friendly, funny, and love to socialize. When I am not working I love to shop, go to the gym and and travel. It is my clients comfort and happiness which comes first and it's because of the relationships I build with each and everyone of you that makes me appreciate and love my job each day. If there is anything else you require, or any further details and information, please feel free to email me or call me and I would be happy to assist you"